Western Hockey League (WHL) team, Portland Winterhawks added 19-year old defenseman Luca Sbisa at the January 10 trade deadline. The Winterhawks gave up Daniel Johnston, Jacob Berglund, and a 1st round pick in the 2010 Canadian Hockey League (CHL) Import Draft to the Lethbridge Hurricanes for Sbisa, a 1st round pick in the 2010 CHL Import Draft, and a 5th round pick in the 2011 WHL Bantam Draft. Sbisa was a first round draft choice for the Philadelphia Flyers at the 2008 National Hockey League Entry Draft. 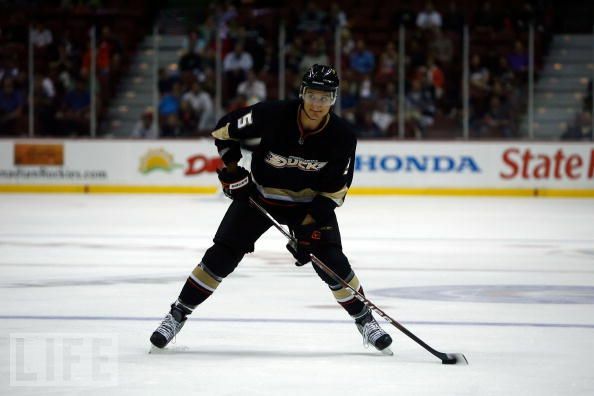 Sbisa was traded June 26, 2009 to the Anaheim Ducks in the blockbuster deal involving Chris Pronger. Scouting Profile for Luca Sbisa at the 2008 NHL Entry Draft. Sbisa however, is getting ready for the upcoming Winter Olympics with Switzerland, his home country. He also represented the Swiss in the World Junior Championships in December. Sbisa will be joining the Hawks after the games in Vancouver are over. This was a good move for the Hawks because they are now 5th in their conference and will most likely make the playoffs this year. Acquiring Sbisa gives them a good chance at making a deep run in the playoffs. He already has experience at the NHL level playing in a few games for the Flyers and Ducks and by the time he joins the Hawks he will have had played in the Winter Olympics. Earlier in the year the Hawks traded for defenceman Eric Doyle. The Hawks felt that they have the right tools on offense but needed to add more experience in their defense. The Hawks started out with a very young group on defense at the beginning of the season. Now with the addition of two players that have been in the league for a few years and have NHL futures, the Hawks are ready to take a shot at the Memorial Cup. Even with a young group of players the Hawks are one of the best teams in the WHL right now, which is a huge improvement from finishing at the bottom of the standings last year. This entry was posted in Hockey, Juniors/NCAA and tagged Doyle, draft, ducks, Eric Doyle, first round, flyers, Hawks, Hockey, Luca Sbisa, NHL, Olympics, Porland Winterhawks, Porltand, prospects, Sbisa, switzerland, trade, Winterhawks. Bookmark the permalink.